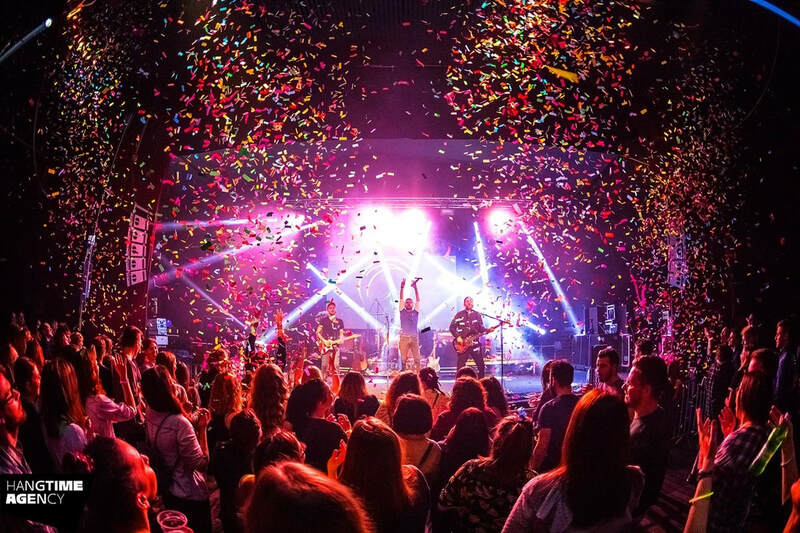 The "Celebration tour 2019" inspired to the "Mylo Xyloto tour" gets start! 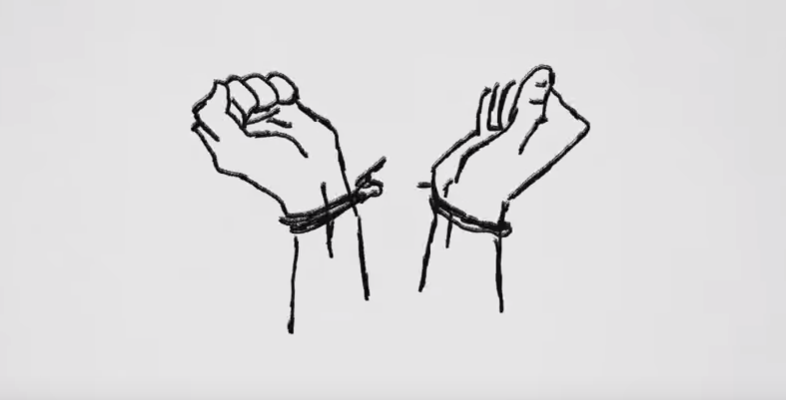 As the last gig of the "A Head Full Of Dreams tour" Liveplay perform the whole "live in Sao Paulo" by Coldplay (part of the Butterfly Package), with synchronized videoprojections of the new dvd. 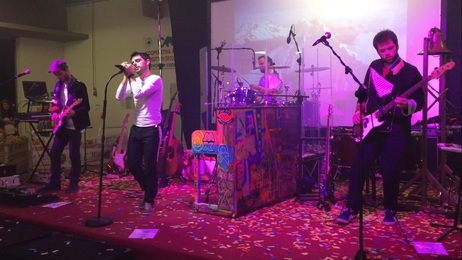 After the Global Citizen in South Africa, Liveplay for the first time perform live "E-lo" by Los Unidades (alias Coldplay) and Pharrell Williams. 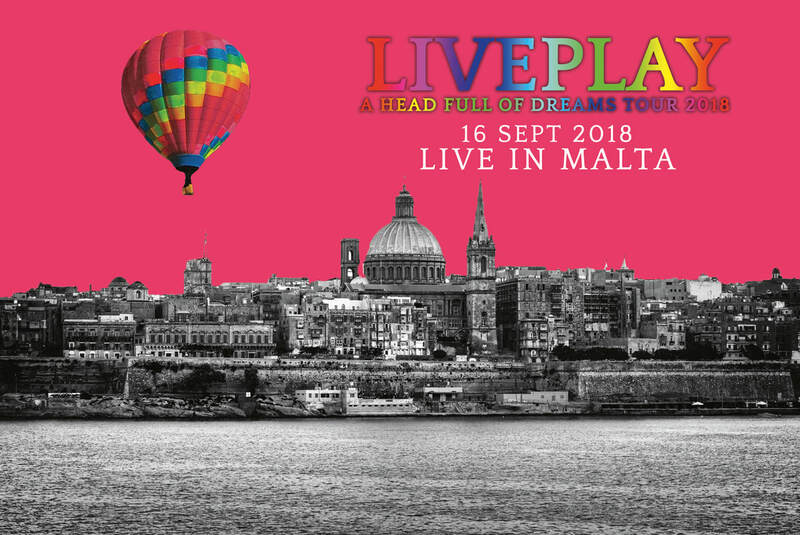 First time ever in Malta for Coldplay's show, in the beautiful square "Il-Fosos" in the capital of the island. 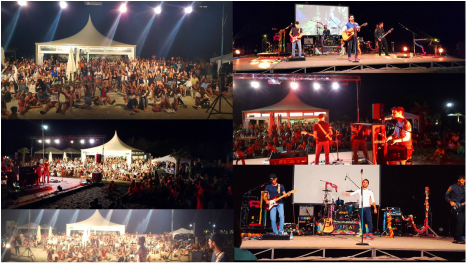 On Tuesday the 13th of September we celebrate our 200th concert, on the main stage of the enormous "Antica Fiera del Soco" in Grisignano. 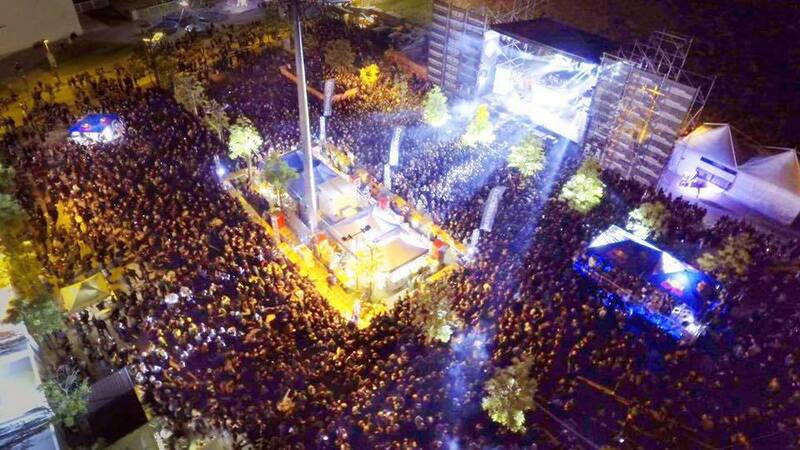 An unforgettable concert in front of thousands of people. First time in Germany is a great time! 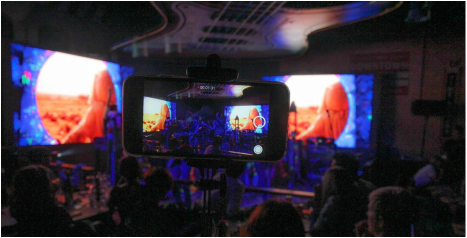 Thousands enthusiast people enjoy Liveplay's show. From June to September 2018 great open air concerts in Italy and abroad, with the new LASER SHOW and all the special effects of the A Head full Of Dreams tour. Coldplay never performed in Croatia. We are very exited taking their place: we bring the "A Head Full Of Dreams tour" and their music for the first time ever in Zagreb, on a wonderful stage and with a beautiful audience! Coldplay's music arrives in a theatre! 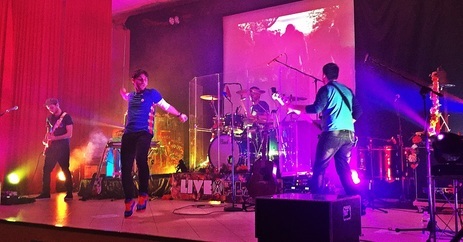 ​In the "Lux Theatre" of Quistello (Mantova) the "A Head Full Of Dreams tour" excites the audience, jumping, singing and getting excited with us! 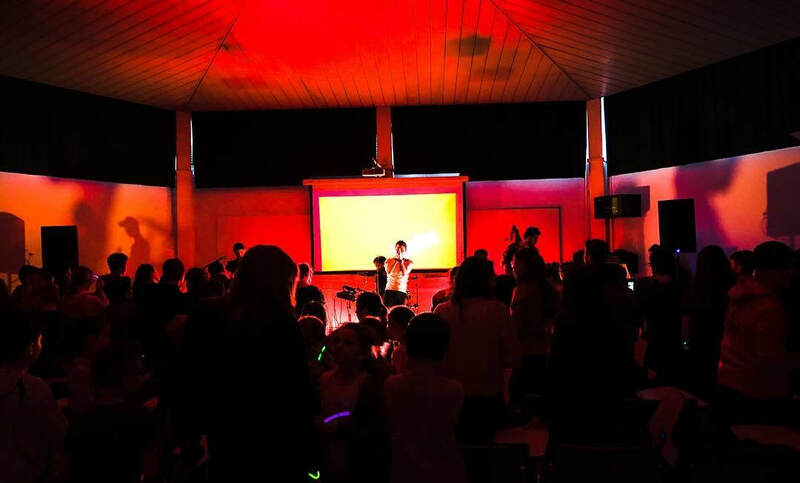 Liveplay perform at the musical school "Laverda" of Breganze (VI), they meet kids and speak about the importance of music. During the show many young musicians joins to the band. 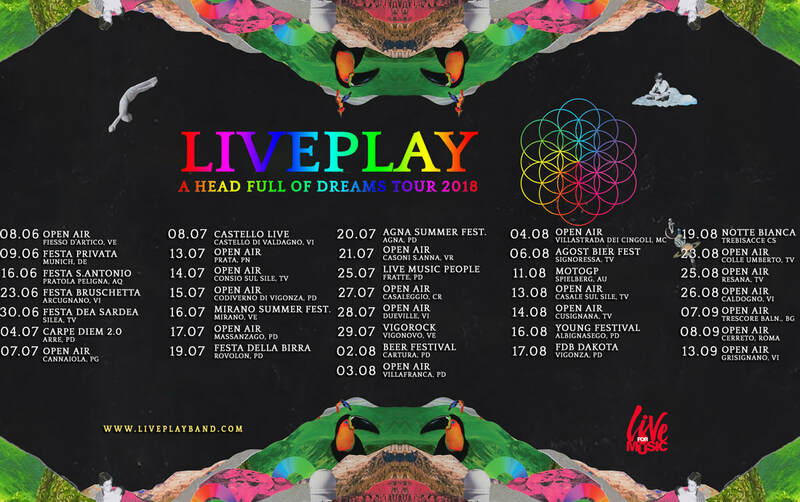 During the enormous festival "Porec Open Air Festival" in Porec (Croatia) the main show in August 4th is Liveplay's "A Head Full Of Dreams". 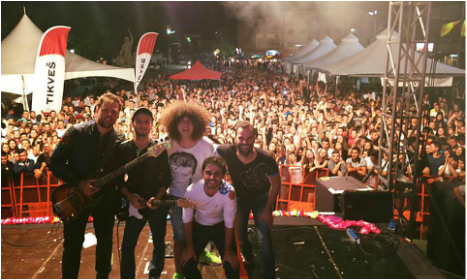 In front of an amazing audience formed by thousands of people from all over the world, the concert is a overwhelming success! 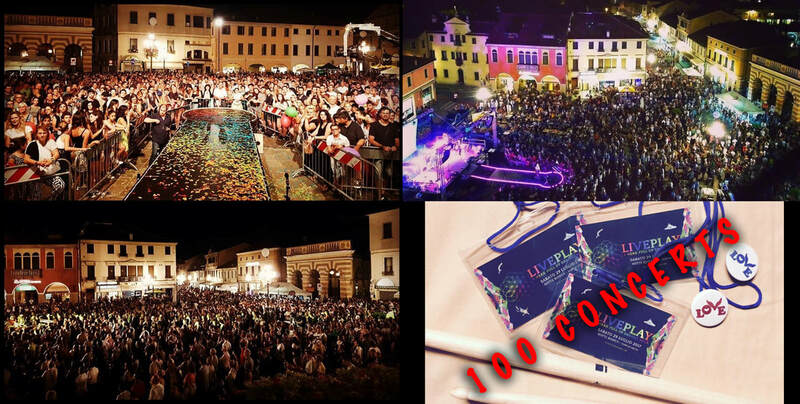 In July 29th 2017 we celebrate our 100 live concerts with a great event! 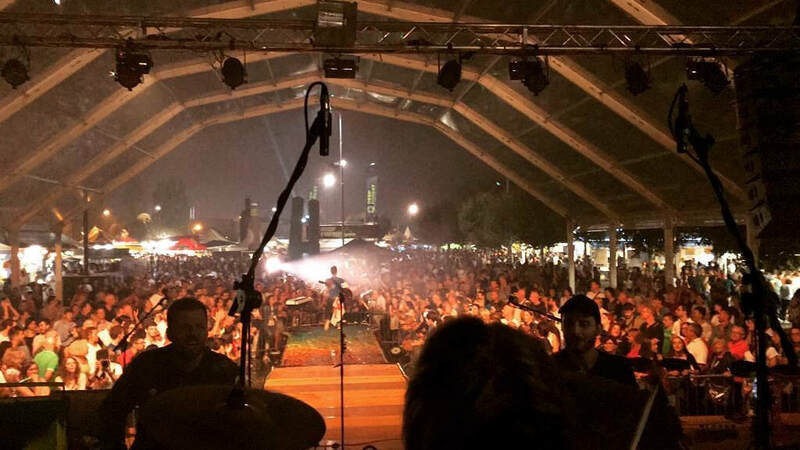 On the main stage of the festival "Notte Bianca di Piove di Sacco", in front of thousands of people, takes place an extraordinary show, with gigant screen, live broadcast, guests, special and pyrotechnical effects! 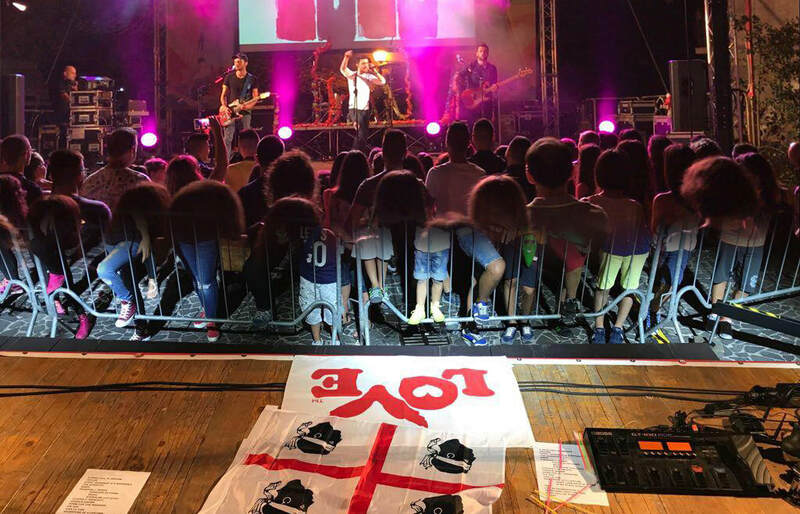 For the first time ever Coldplay's music is played live in Sardegna, with the great enthusiasm and passion of the beautiful audience of Paulilatino. 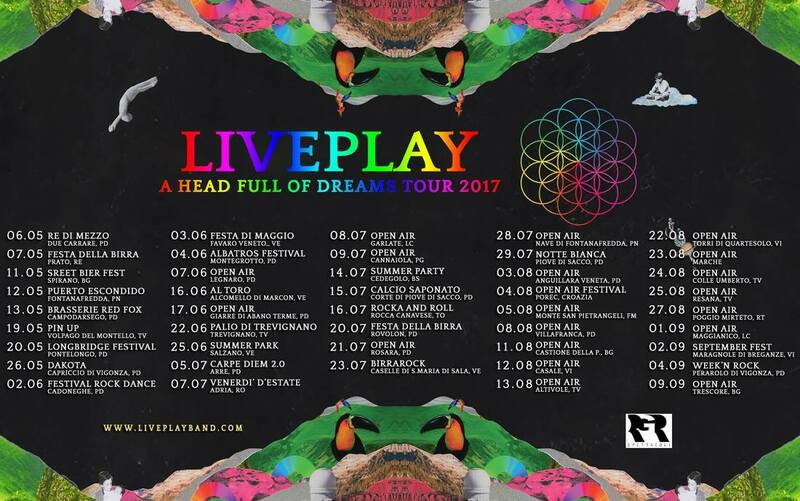 The triumphal "A Head Full Of Dreams tour 2017" Summer Edition officially begins, with up to 50 concerts in Italy and abroad, full of surprises and special effects! 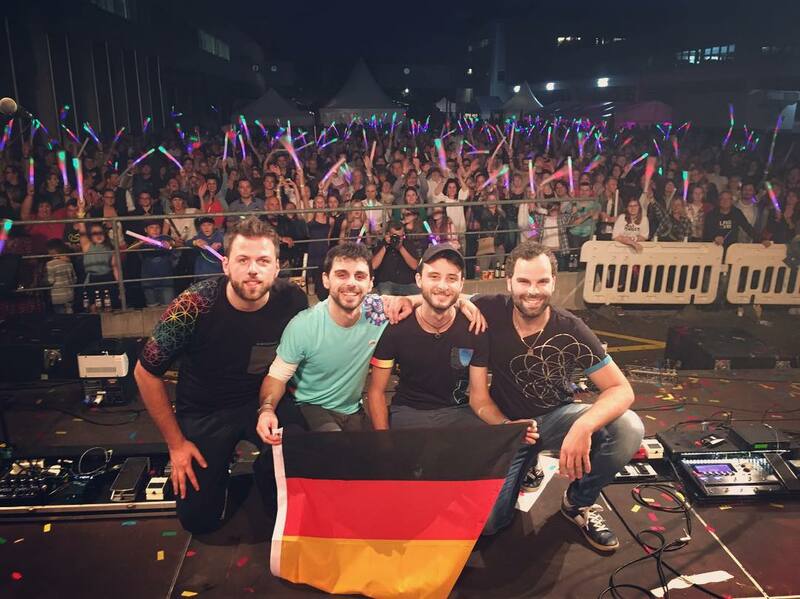 Liveplay are one of the 8 great bands which performed on the stage of the charity event "Aperyshow 2017", with the record audience of 60.000 people! On Christmas night Liveplay officialy present Xylobands, the led bracelets for the audience which glow with the music! 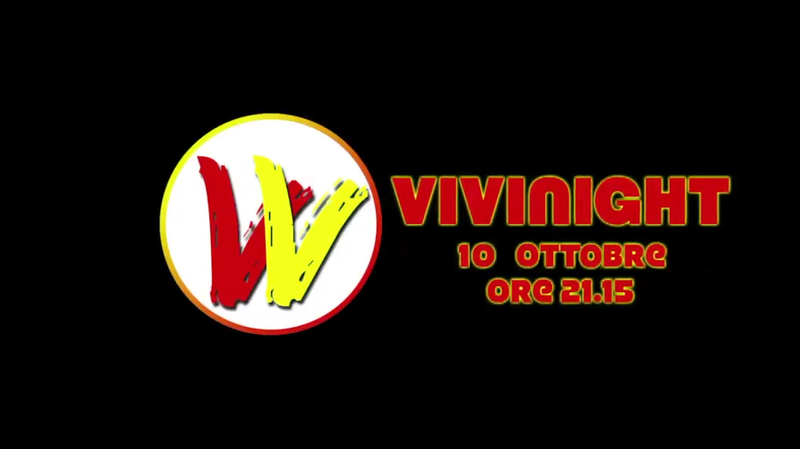 On air on EdenTV the full interview of Enrico and Filippo, guests of the program ViviNight. 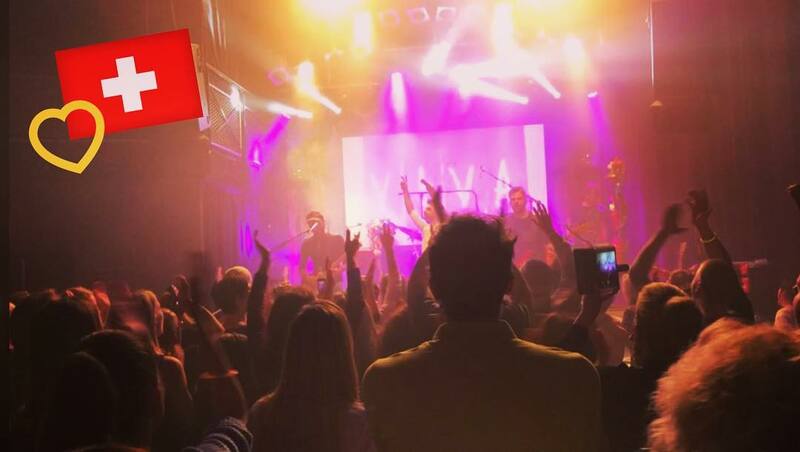 Liveplay speak about their history, with acoustic live performances and videoclips. In September 1996 Chris Martin and Jonny Buckland meet for the first time. From this moment the beautiful history of Coldplay begins, and we celebrate it after 20 years with a great concert at "The Big"! As a gift for the audience all the live albums of Coldplay. For the first time ever the "A Head Full Of Dreams tour" is performed by the sea, with a beautiful audience from the whole Europe! 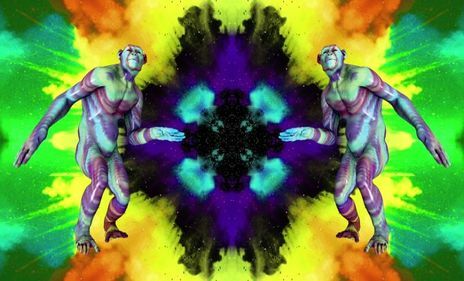 For the first time ever Coldplay's music merged with the colors of the Holi Festival (famous for the videoclip of "Hymn for the weekend")! Summer version of the "A Head Full Of Dreams tour" begins, even with more colors, surprises, emotions and special effects! 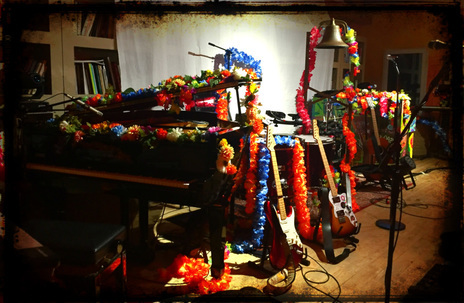 Same scenography, setlist, clothes and instruments of Coldplay, for an explosive mix. Officially begins the new tour dedicated to the album "A Head Full Of Dreams": new songs, new clothes, new scenography, in the same version of Coldplay, who will start this tour in March 2016! First tribute in the world. 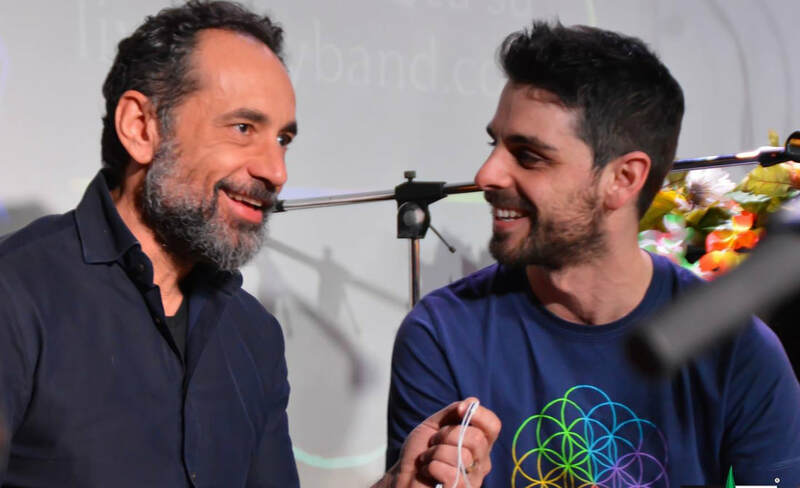 In the theatre of Correzzola (PD) Liveplay are the first tribute band in the world to perform Coldplay's "A Head Full of Dreams tour" that will start il 2016, playing the new songs A Head Full Of Dreams and Up&Up! 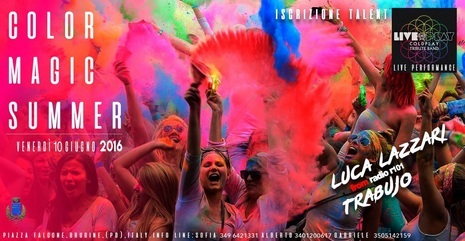 It is a great success of audience and all the incomes goes to missions in Ecuador. Liveplay publish their first DVD, with videos and pictures of the magic tour 2015! Only 24h after the release of the first single from the upcoming album "A Head Full Of Dreams", Liveplay play it live at Greenwich Pub in Curtarolo. First time ever for a tribute band! 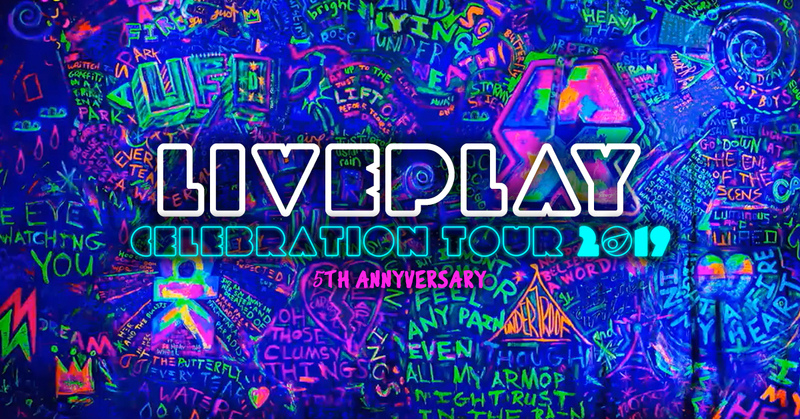 For the first time ever after Coldplay, Liveplay play the live version of the song "Amazing day", from the upcoming album "A head full of dreams"! 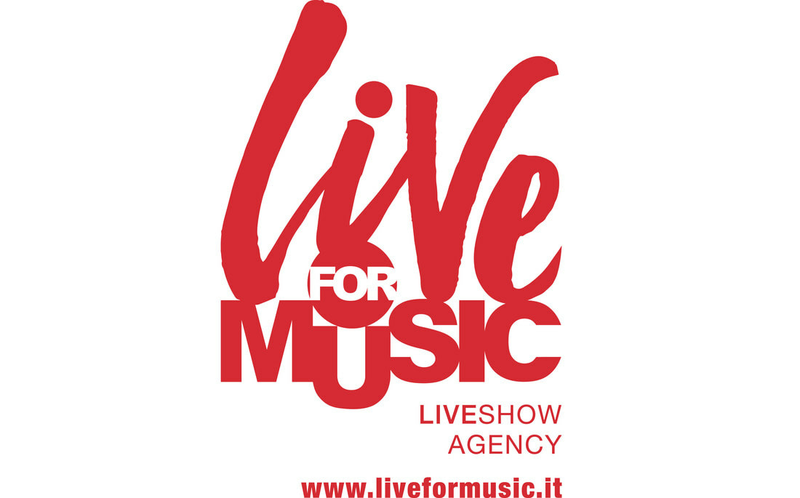 Liveplay are the first band guest of the program "Social...izziamo", on air on Radio Padova from 12.00pm to 14,.00pm. 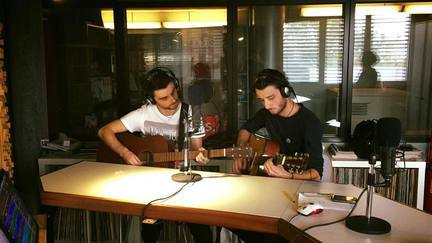 For the occasion they play some songs in acoustic version link! 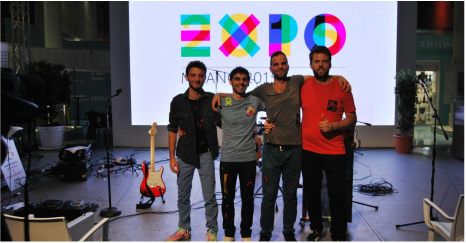 Liveplay perform at "Milan EXPO 2015", the most important Italian event of the last years! 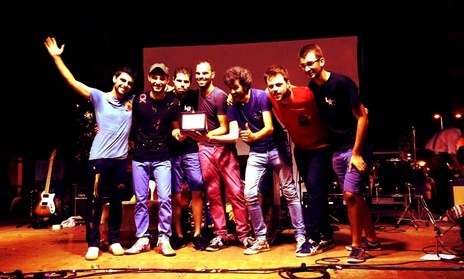 Liveplay are one of the 12 bands selected foto the contest CoverStar of ChioggiaTV and Radio Padova. 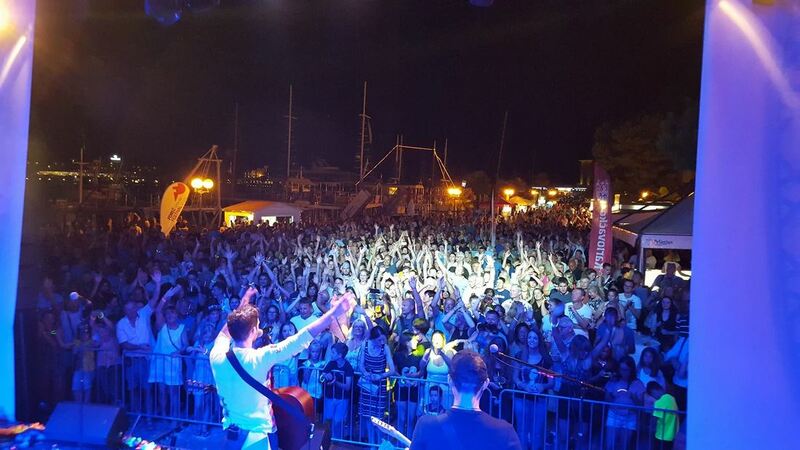 Liveplay's show arrives at the festival "Sagra del Pesce" di Chioggia, one of the 100 wonders of Italy. 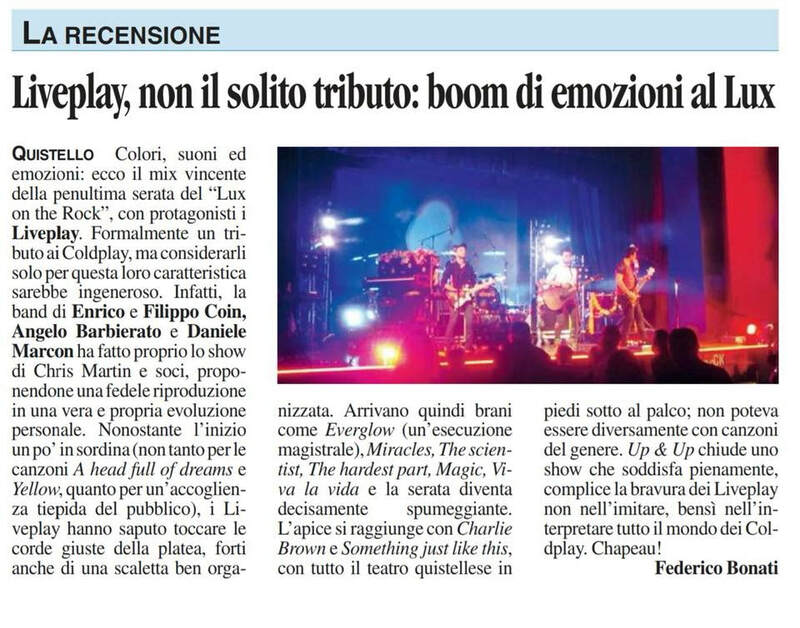 The event is named in the newspaper "il Mattino di Padova". 48h of sport interrupted only on Saturday for the great concert dedicated to Coldplay! 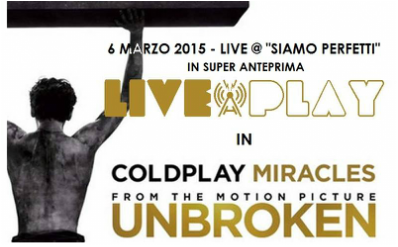 For the first time ever Liveplay play MIRACLES at "Siamo Perfetti" in Monselice: this is the very first time for the live version of this song, never played by Coldplay! 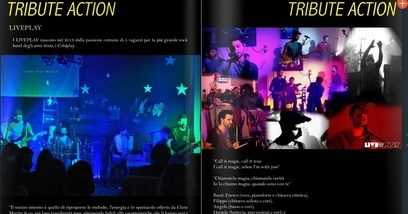 2 pages dedicated to Liveplay on the online magazine BestStar (here you can find the magazine, the article is at pag. 42-43). 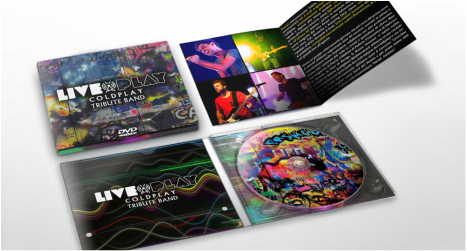 Liveplay give as present the new Coldplay's CD/DVD "Ghost Stories live 2014".